Jane Austen’s House Museum is seeking an experienced Marketing Manager to deliver superb marketing, press and development communications. Located in the Hampshire village of Chawton, near Alton, the Museum is open throughout the year, welcoming an average of 40,000 visitors annually with an aspiration to significantly develop this over the coming years. Through effective and timely management of marketing, media and events, the Marketing Manager will play a vital role in the success of the museum by executing communications across a variety of online and offline channels; generating a regular stream of positive media coverage; increasing public awareness of, and therefore visitor numbers to, the Museum and through the successful delivery of events and fundraising communications. For the full job description, person specification, as well of details of how to apply, please click here. Chichester Festival Theatre are looking for a Digital Content Officer who can create vibrant digital content, with a keen eye for detail and strong written and communication skills, to join our team. The role includes opportunities to manage and deliver projects that open our work up to new audiences, ranging from livestreaming performances to foreign language translation of productions and online material. You will have a practical role in creating video and audio content as well as driving the organisation forward in embracing new technological developments. You should be a team player with experience in planning, delivering and evaluating digital strategies as well as the ability to think creatively about our digital output. To apply for this position please download an application form from our website at www.beaulieu.co.uk/careers . Alternatively please email [email protected] or call 01590 614681 if you would like an application form posted to you. Experience with grounds keeping and working with livestock is an advantage, as are certificates for the proficient use of grounds maintenance machinery. Chichester Festival Theatre is looking for an energetic and dynamic Deputy Head of Stage with excellent carpentry and construction skills to join its full time stage department. The role includes opportunities for team leadership and team working collaborating with freelance creative and production staff in a fast paced and exciting producing theatre. This is a permanent position. At Red Mist Leisure we want to deliver the best for our customers and continually exceed their expectations. We strive to be market leaders and achieving this is dependent on the quality of our products, services and our team. We recognise that customers have a choice where they spend their dining income, but by offering consistently great dining experiences, we will thereby retain and expand our customer base through the strength of our reputation and become first choice in our customer’s eyes. Assistant Manager, The Exchequer https://www.exchequercrookham.co.uk/ Click here for further details. Supervisor, The Queen’s Head https://www.queensheadeastclandon.co.uk/ Click here for further details. Live-in Chef de Partie, The Temple Inn (opening July 2018) https://www.templeinnliss.co.uk/ Click here for further details. Sous Chef, The Duke of Cambridge https://www.dukeofcambridgetilford.co.uk/ Click here for further details. General Manger, The Wellington Arms (opening November 2018) https://www.wellingtonarmshampshire.co.uk/ Click here for further details. Event Sales Manager, The Wellington Arms (opening November 2018) https://www.wellingtonarmshampshire.co.uk/ Click here for further details. Bar Manager, The Wellington Arms (opening November 2018) https://www.wellingtonarmshampshire.co.uk/ Click here for further details. These are available at all Red Mist pubs. Click here for the full course details. Spa Therapist - Flexi Contract - £8 per hour . We have an exciting opportunity for a qualified level 3 therapist with some previous experience to join our friendly team working from our Amazing Island Hotels in Portsmouth, Solent Forts. NVQ level 2 & 3 or equivalent in Beauty Therapy (must include Face & Body). We are looking for someone who is reliable and dependable, takes pride in the presentation of their working environments and themselves and cares about providing an excellent customer & colleague experience by delivering the detail. Ideal candidates are always looking to help, support and develop the team, are positive, friendly and efficient and enjoy working as one big team to achieve overall goals. CFT have lots of exciting opportunities for chaperones this season working with the CFYT and our Festival productions. If you hold a valid chaperone's license and are interested in working with CFT please submit a copy of your chaperone licence and a covering letter detailing relevant experience to [email protected]. 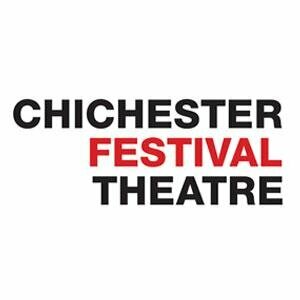 Chichester Festival Theatre is keen to support people who are committed to pursuing a career in theatre or within the Arts sector, or would like to find out more about how it works. If you are passionate about working in theatre, music, dance or community arts and would like to experience working in a busy and vibrant theatre, please email [email protected] for more information about Work Experience opportunities or download our Work Experience pack. CFT encourage applicants from a variety of backgrounds to apply, including Black, Asian and Minority Ethnic (BAME) candidates, and disabled candidates. If you would like to apply for Work Experience here at CFT, please complete an application form and return to [email protected], or post to LEAP Department, Chichester Festival Theatre, Oaklands Park, Chichester, West Sussex PO19 6AP. Selected applicants will be invited for an interview at CFT before any offer of Work Experience. CFT aim to accommodate as many applicants as possible throughout the year; however, this may depend on capacity to support Work Experience, or suitability for particular areas such as backstage work. CFT run a comprehensive Trainee and Apprentice programme, enabling us to develop the next generation of arts professionals. Apprenticeships and Traineeships are advertised in the Jobs section of the website during the summer of each year. Chichester Festival Theatre believes diversity is about celebrating and valuing individuals. The Theatre has an equality of opportunity approach and aspires to give everyone the chance to achieve their potential. Enthusiastic people wanted to sell tickets on Broad street, Oxford to sell tickets for guided tours. Earn minimum wage + commission on sales. Therefore, possible to earn up to £30/hour. Short shifts lasting 2-4 hours on flexible schedule to suit you, starting from 10am or later and finishing by 2.30pm. Visit Oxford Tours is based in Oxford but runs tours in other destinations via main website plus via other websites too. Tour guides wanted for casual work paid, as & when bookings, to guide one or more of ANY of the following types of guided tours below. Training provided but training is not paid for. Pay rate is from £15-20/hour + any work related expenses + any tips + £10 bonus on any 4 start or 5 star tripadvisor reviews. Tours last from 2-3 hours. Busiest days will be weekend afternoons. You are free to accept or decline bookings, as suits you. Currently, customers on most tours must book at least 24 hours in advance, so you will have at least that much notice on most tours we run.